Tired of seeing over leveled cards in your Arena? Can’t spare the cash to buy any of those epics or legendaries in the shop? What about a deck that requires a little bit of skill but is extremely useful? Fear no more! 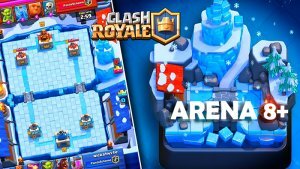 It is Ice, with my first CRA guide, presenting to you my very own creation-yes, I am Free to play, where I’m currently in Arena 9, though I only have one level 6 rare and a few levels 9 commons, and no legendaries. Why? I took an extended break from the game during the period where Super Magical Chests didn’t exist, so where I was supposed to get one, I got a Giant Chest instead. After coming back, my cards were under leveled and I initially had a ton of trouble. But now this deck has gotten me to 2900 trophies, with more on the horizon. Without further ado, here’s the deck! Hog Rider-Your win condition. Not replaceable. Fast and very versatile, can be used as a mini tank in emergency situations. Paired with Ice Spirit and Bats, if played well can deal up to 1500+ damage on the tower depending on the level of your card. Knight-The “vanilla” card of the meta. Extremely versatile, has high DPS and paired with Tesla, Fireball and Bats can take down almost any tank push. Use only on defense. Can be replaced with Valkyrie if you’re having trouble with swarms. Tesla-Your main defensive card. Very underrated, I know, but once you approach higher arenas can be replaced with Inferno Tower, Tombstone or Cannon depending on your preferences. Ice Spirit-As, the name of the deck, implies, use it behind a Hog to create a low-risk push, but can deal severe damage to the tower if left alone. Can also be used to shut down Minion Hordes (with Zap), Goblin Gangs or when you feel you need to distract a troop for a few seconds. The versatile card can be used both offensively and defensively. Bats-Very high DPS. Can be used to create a menacing push with Hog and Ice Spirit (though vulnerable to spells). 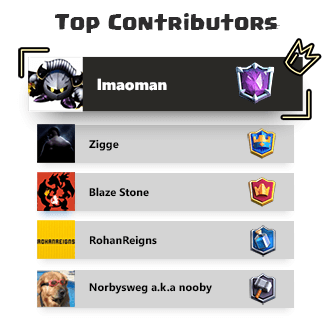 Also used to take care of Balloon, Hound and P.E.K.K.A, as well as any mini tank. Zap-Self-explanatory, but once you get a feel for the opponent’s deck you may have to prioritize which cards must get Zapped. Try to get this card as high as possible so that it can deal more damage to Minions. Fireball-Use on supporting troops behind a tank. Knight to mop up. If playing a Witch or Night Witch may be difficult, but can be worked around, since this deck is only 2.9 and you can cycle back to Knight within 10 seconds in double elixir time. Can also be used to take down an ailing tower. Archers-Good on defense or counter push. Great for taking down the Balloon, Valkyrie or any other tank/mini tank. Effective behind the Knight. 3:00-2:00-Create some more low-risk pushes with Hog and Ice Spirit, sometimes Bats. Try not to let your opponent build up a big push. Pressure them constantly. Try not to show your opponent your Tesla too early. 2:00-1:00-Can start making predictive moves (e.g. Prediction Fireball if your opponent has used Minion Horde to counter your Hog a few times before), but make sure you haven’t taken too much damage. 1:00-Overtime-Start making more high-reward pushes with Ice Spirit, Bats and Archers, and perhaps a Fireball. Try to drop a Tesla before such pushes. 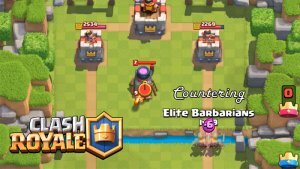 Try to rush the other lane as soon as your opponent drops a Golem or P.E.K.K.A in the back, but not a Giant, as most of the time they can counter your push easily. 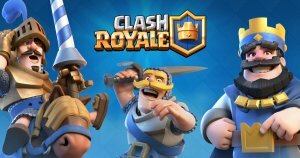 Drop a Tesla once the tank has crossed the bridge, and then place down Archers and Fireball the supports, with a Knight to mop up. Can be used very well on Electro Wizard, Ice Wizard, Wizard, Musketeer and less so on Witch/Night Witch. If there is only one support no need to Fireball, just place a Knight and Bats if the tank has destroyed your Tesla and still have a good chunk of health left. Depending on what they use, try not to let them out-cycle you, or you may find yourself without a Tesla in hand and a Hog, Mega Minion and Ram charging towards your hapless tower. Keep up the pressure, though your opponent would be doing the same. 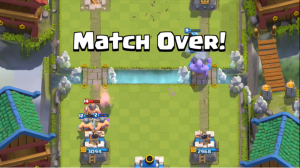 Try to save your Tesla for the X-Bow and a Knight to tank. If an enemy tower is down you can easily spawn troops on top of the X-Bow or Mortar. If they use the Mortar try to counter whatever push they made and rush the other lane. So rush two lanes. You should be able to defeat whatever’s coming your way. Knight is your best friend here, soaking up damage. Bats and Archers can help, though Bats need two shots to kill a Skeleton. If it gets too crowded, Zap, then counterpush. Knight. 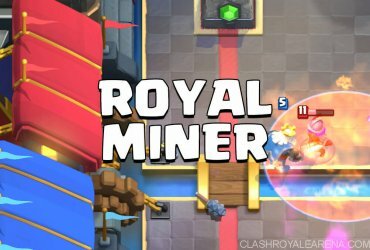 Try to predict where the Miner is going to go (or deploy the Knight on top of the Miner to avoid it chipping the tower) and if that’s their only way of winning, you’ve got yourself 30 trophies up to the ladder. 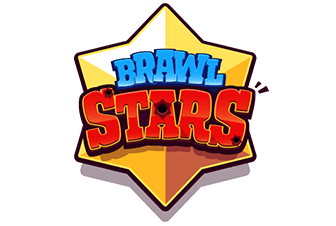 They are really fast, so make sure you Tesla close to your Tower and place Knight, Ice Spirit, Bats and Archers, Fireball if necessary. You may take a couple of hits, but you can size yourself up for a scary counterpush. 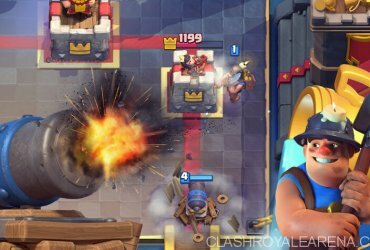 Fireball their Pump if you are sure that will prevent your opponent from deploying the Three Musketeers. Try to keep the pressure up, try to make them not deploy them. If it does get deployed with a Miner and a Ram on each side, Fireball them, then put down a Tesla, then place Knight for the side with Two Musketeers, Bats for the Miner, Ice Spirit the Ram and by that time you should have enough elixir for another Tesla which should stop the Ram and lone Musket easily. Try to save your Knight for the Princess, then Zap the Minion Horde, with Ice Spirit to mop up. For the Barrel put down Archers or Bats. Tesla the Goblin Gang and then counterpush. Should be an easy win. Hope this helped! Now those of you without those exotic cards can excel in the Arena! Ice out!